Myrtle Beach Golf Trips gives a free round of golf to any golfer who requests a free vacation estimate. Golfers can fill out a “quick quote” online and get a voucher for a free round of golf to use on their next Myrtle Beach vacation. Myrtle Beach is home to almost 100 golf courses, an average temperature of 75 degrees, and of course, the beach. Tee times fill up fast, especially in the spring. The sooner tee times are booked, the more likely you’ll get your preferred time on your favorite courses. Myrtle Beach Golf Trips gives golfers access to all the courses on the Grand Strand. Golfers can choose from picturesque courses carved out on Lowcountry plantations to challenging layouts built by the masters. Willbrook Plantation is a scenic Dan Maples course with wide fairways winding around lakes and over wetlands. Built on a pair of plantations, two-hundred-year-old moss-draped live oaks frame several holes throughout the course. Willbrook Plantation is also known for its abundance of wildlife including herons, fox, deer, osprey, and alligators. Its early history is reflected on six historical markers placed discreetly around the course. Applauded as both fun and challenging, it is consistently awarded 4.5 out of 5 stars in Golf Digest’s “Places To Play” listing. Founders Club at Pawleys Island opened in 2008. It’s known to offer a dramatic but accommodating round of golf – from isolated tee boxes to water features, enhanced by a sprinkling of azaleas and towering live oaks. It is the only course in the area that sports Emerald Bermuda greens, many of which are elevated and require a deft touch to maneuver. After the 18th hole, reminisce upon your day on the wrap-around porch at the Founders Club’s Lowcountry-style clubhouse overlooking the 18th green. Golfers can choose from these courses and so much more just by requesting a free vacation quote with Myrtle Beach Golf Trips. Owned by Founders Group International (FGI) and with the help of Golf Insider’s 100 percent player-generated course ranking system, Myrtle Beach Golf Trips helps thousands of golfers plan and assemble their ideal golf itineraries. 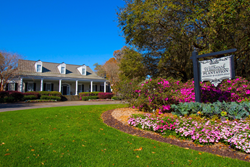 Golfers can choose from “top-100 caliber” courses Pawleys Plantation Golf & Country Club, Grande Dunes Resort Club, TPC of Myrtle Beach, King’s North at Myrtle Beach National Golf Club, Pine Lakes Country Club, and more than 80 other Myrtle Beach area courses. More information about Myrtle Beach Golf Trips and Founders Group International is available at http://www.foundersgroupinternational.com, http://www.mbn.com or http://www.myrtlebeachgolftrips.com/.